All operations with PhoneClean are clear and transparent. So you don't have to worry about if PhoneClean will remove all your messages without asking your permission. 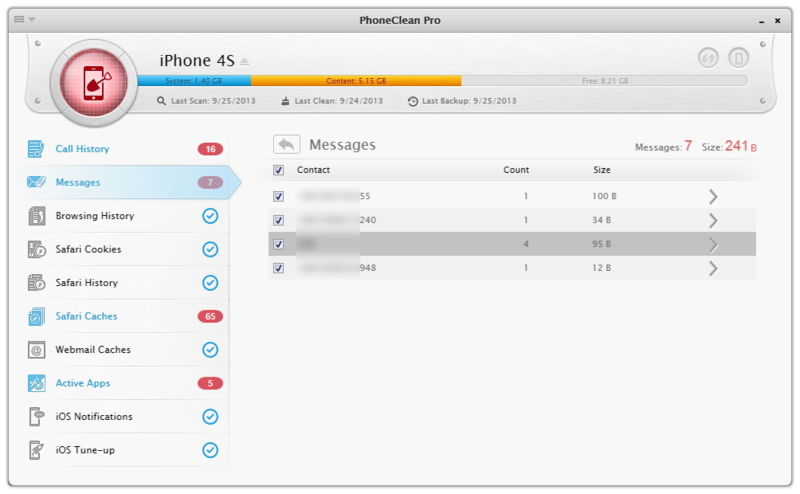 In this tutorial, we'll show you how to prevent PhoneClean from cleaning specific messages. Step 3: after pre-checking this, then you can click the Back icon to get back to scanning result panel. Click Clean to let PhoneClean wipe out there private info for you.